Uber loves to write, and has been writing all his life. From short stories to novels to poems about being the son of a centerfold, he loves the act of moving words from his brain to the page (or the computer screen, as it were). 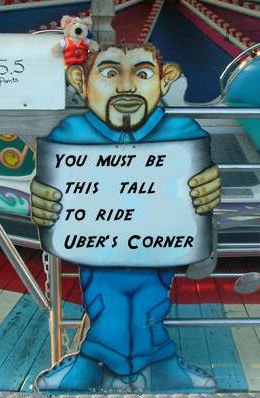 Uber's Corner is a free-for-all, where Uber shares stories and fables he cooks up, as well as random thoughts on whatever the hell he thinks is important at that moment. Uber lives in San Antonio with a beautiful woman and a neurotic coonhound.